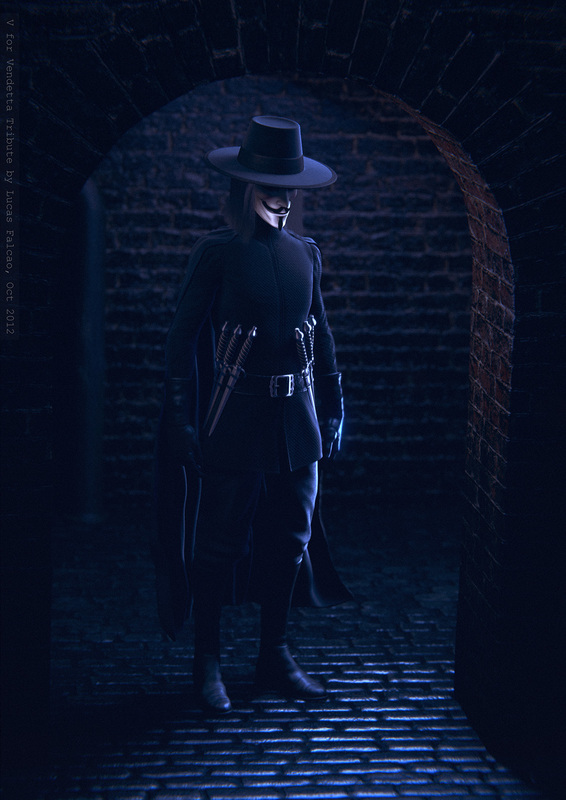 Here is a tribute I've made to the movie V for Vendetta. 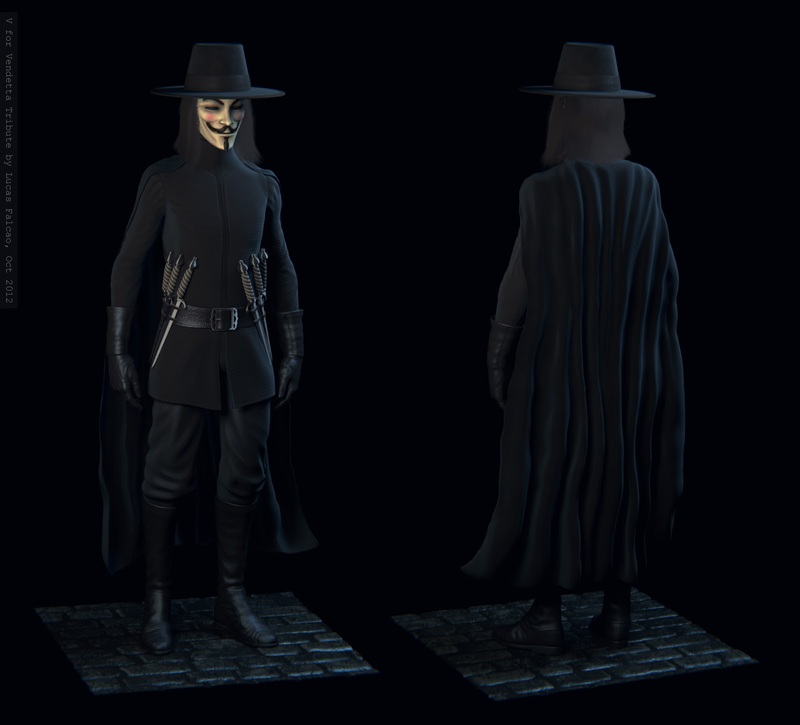 I modeled the body using a base mesh and then extracted clothes from this mesh and refined the modeling. 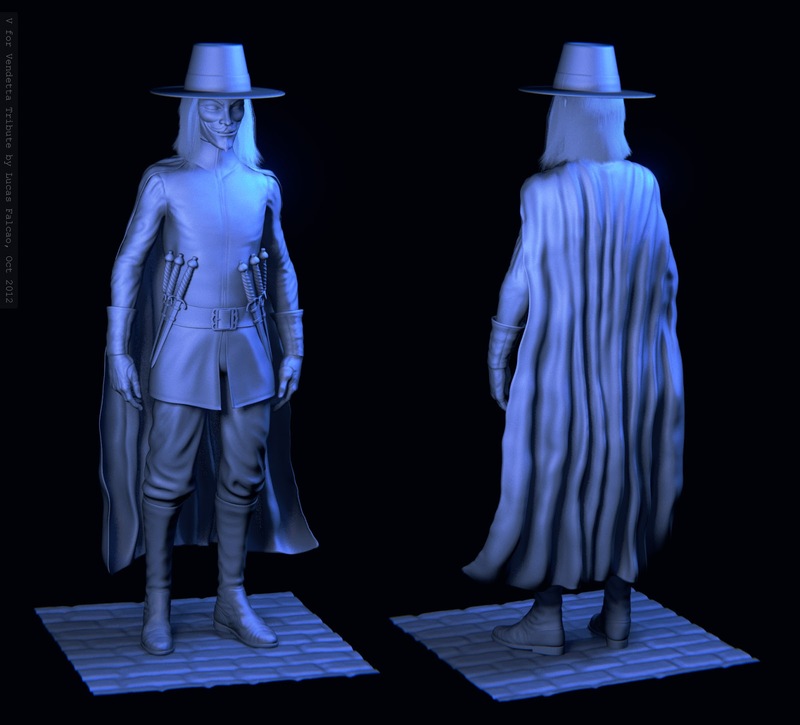 After that I used the multires and sculpted the folds and details in the clothes. 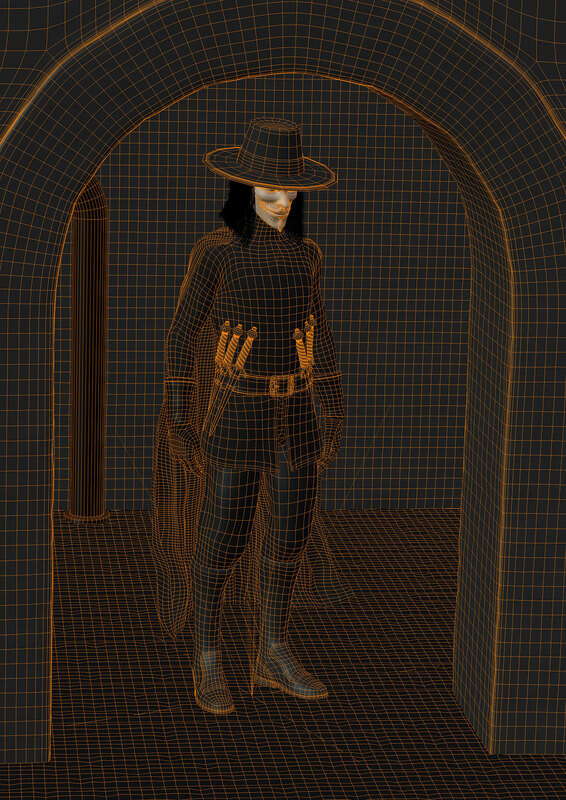 I just keep the subdivision level to 3, because I used this in the coat, pants, boots, gloves and cape. And because I also used displacement on the walls and ground, so the render started to get heavy. The mask I sculpted in Blender using the Multires and after that I make the retopology. I rendered in BI, just small retouches in Photoshop. A big thanks to my friend Bruno, for the tips and help me to improve the lighting. The lighting is fantastic ! Não Rodrigo, são meshes separadas mesmo.